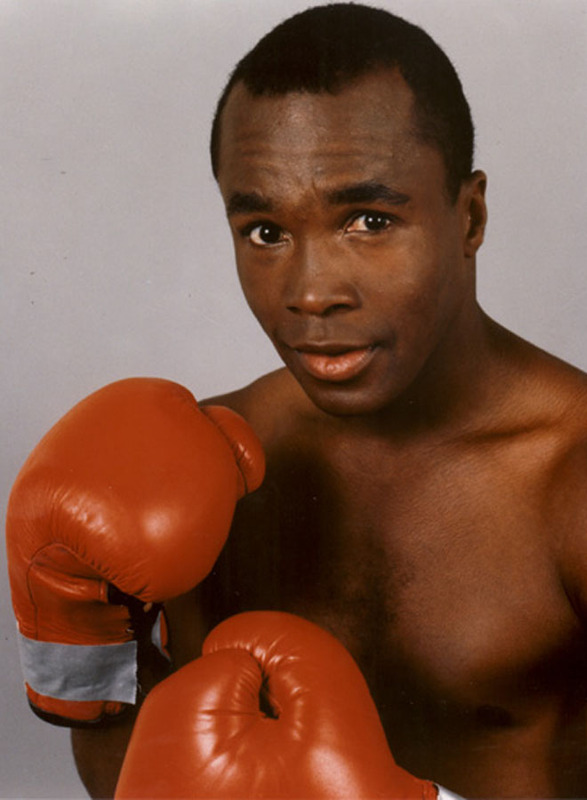 WHAT HAPPENED TO THE CHAMPIONSHIP RING OF SUGAR RAY LEONARD? Olympian and Middleweight Boxing Champion – Sugar Ray Leonard had this Handsome Championship Ring designed for himself and his entourage.....such as his Cut-Man, Trainer, etc. It is a stunning 14K Gold - with Five eye catching authentic stones. The Championship Ring was to Commemorate his Victory over "Marvelous" Marvin Hagler - on April 6, 1987 – the Victorious date is clearly Emblazoned on the Championship Ring itself. 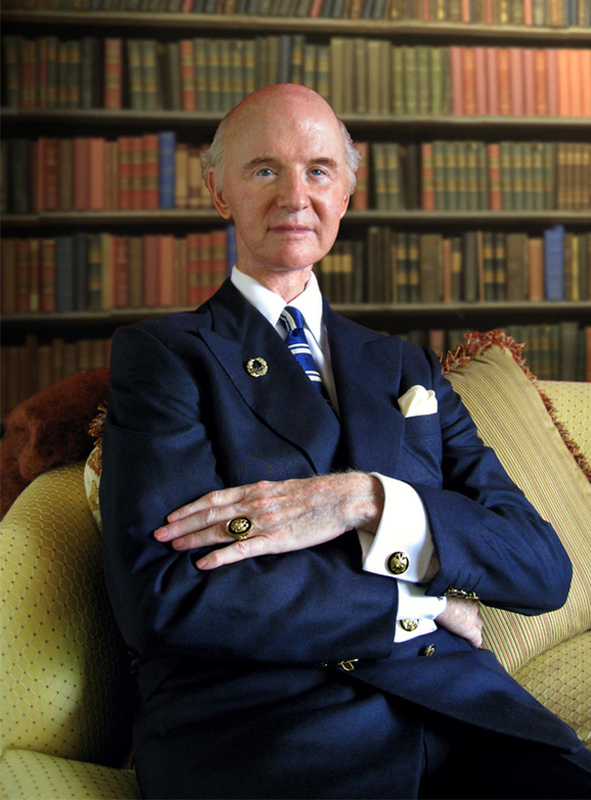 This important Sports Champions Ring is presently in The Collection of Raleigh DeGeer Amyx, also known as The American Heritage Collection. 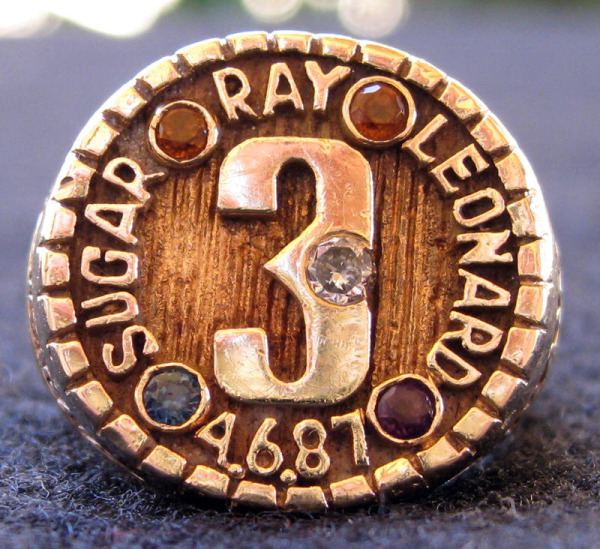 The Large "3" in the center signifies Sugar Ray Leonard's Three top Titles in World Boxing Events – Welterweight, Junior Middleweight and Middleweight Champion of the World. 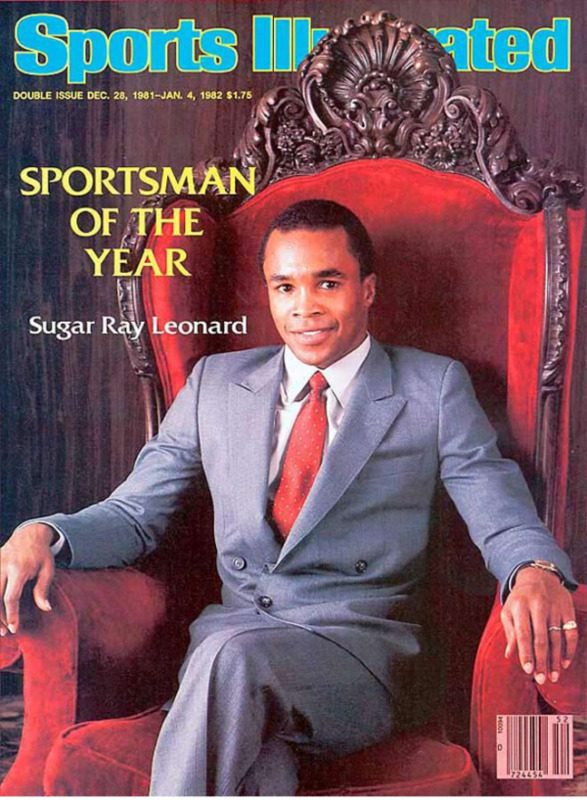 As a result, Sugar Ray was overwhelmingly voted World Boxer of the Decade -- ( The 1980s). During this Great Champions career, which concluded with a record of 36 wins – 3 losses – and 1 draw, Sugar Ray was called upon to defeat Four Great World Champions. All of Four of these World Champions went on to become future World Boxing Hall of Famers. They were; Wilfred Benitez, Thomas "Hit Man" Hearns, Roberto Duran and "Marvelous"Marvin Hagler!